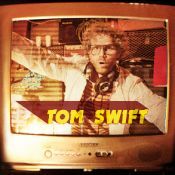 Tom Swift goes Retro!!! On his second album the time machine takes him back to the 70ies. Purest Reggae, Soul, Funk!!! After invading the the Swiss audience with my loops as the Groove Professor and his LOOPOMATIC GROOVE CIRCULATOR in 2010, I’m now focusing on the vintage Reggae, Soul, Funk band sound of the 70ies. With the help of Philip Setzepfand (Speakers Corner Studios), producer, engineer and guitarist as well as Eric Gut (The Scrucialists) as producer and drummer. Most of the songs are written and the recordings are in full swing. The whole project is an independent production with no label involved, that’s why I need your help to finance my second album. All the songs need to be finished and recorded. End of June we’re doing a photo and video shooting with Pascal Brun and Mats Willi, also known as teamswitzerland.ch, who will also help me with creating my own website. Then I want to try and find some sort of distribution and advertising firm to help me with the promo. And my biggest dream a tour through England with my friends The Swelltones needs to be organised. First of all I need you to come down to the studio and help me record handclaps and chorus shouts for my song «I can’t be bothered» (see video). And secondly I need you to show me your support at my album release party end of this year. As a thank you present for your support I will reveal the secret of my LOOPOMATIC GROOVE CIRCULATOR at a loopstation workshop. Or I will write a song for you or a special occasion. Or I will play a live gig for you solo or with The Swelltones. This project ended successfully on 18/8/2012 15:00! I will e-mail you my first single with a big thank you. I will e-mail you the whole new Album. I post mail the new album to your home. Signed of course! 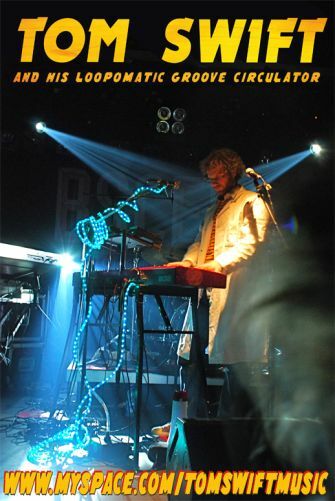 I post mail the new album and the old album «Tom Swift and his Loopomatic Groove Circulator» to your home. 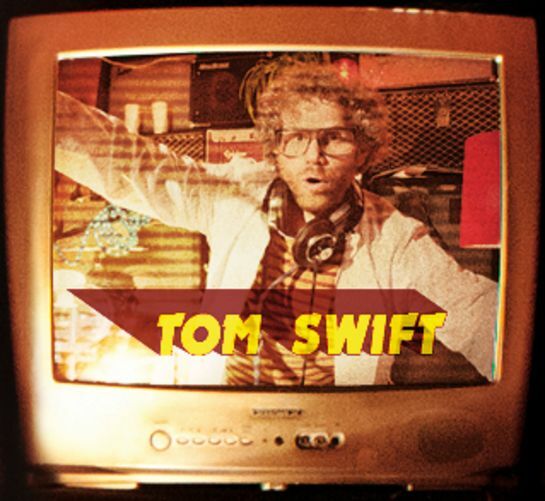 You will get to party at my release party with two signed Tom Swift Albums in your pocket. You will get my two albums and you get the chance to come down to the studio on Saturday the 25th of August 2012 to help me record hand claps and chorus shouts for my new song «I can’t be bothered». I will reveal the secret of my LOOPOMATIC GROOVE CIRCULATOR at a loopstation workshop, where I will show you how to loop so you can try it out yourself. Surprise someone with an unusual gift: I will write a personal song for you, video tape it and send it to you. All I need from you is a topic, the musical style and the occasion. I will play a 60 minute gig for you in your home or at your party. I will present your personal song (see 500.-) to you at a 60 minute gig at your home or your party, supported by The Swelltones. Tom Swift ist das menschliche Orchester, der Alleinunterhalter der anderen Art. 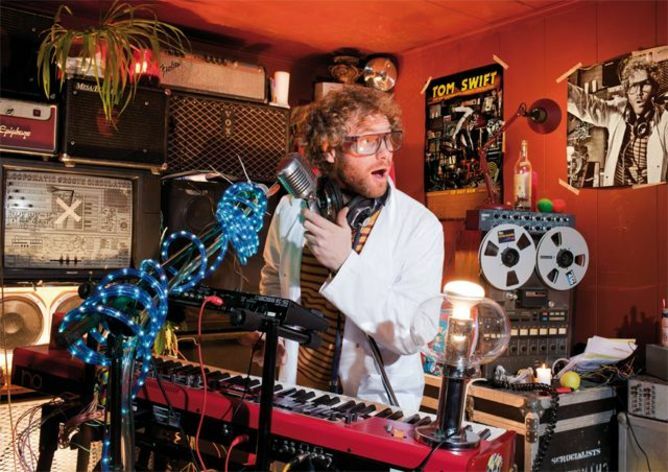 Der Groove Professor infiltriert dein Gehirn mit der Hilfe seines Loopomatic Groove Circulators. Ohne synthetische Geschmacksstoffe! Organic Grooves, 100% addiction. 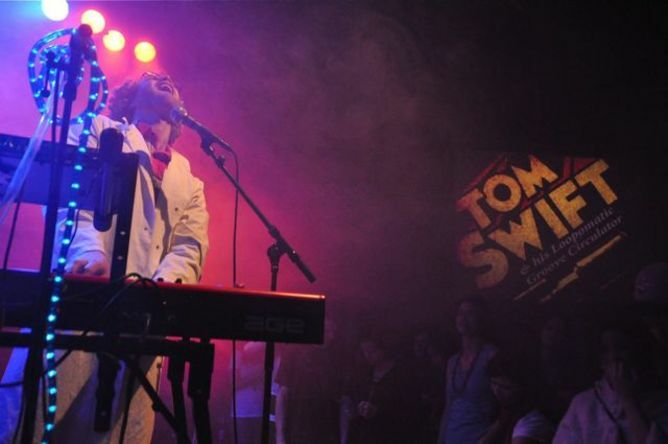 Nachdem Tom Swift im Sommer 2009 bei Phenomden an den Tasten alle grossen Festivals der Schweiz abklapperte und danach mit Lee Everton durch Europa und Japan tourte, startet er jetzt alleine durch. 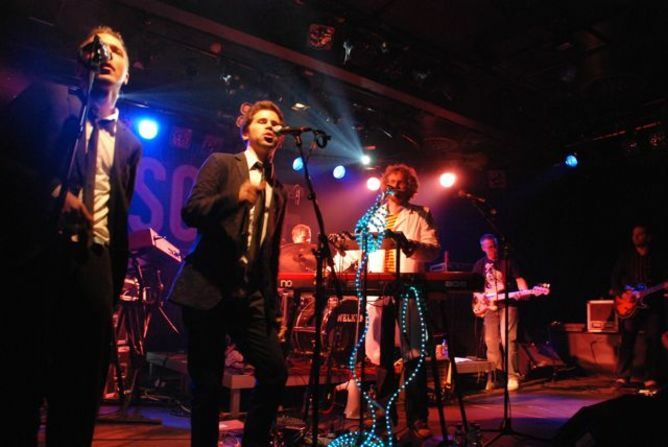 Inspiriert durch Jamie Lidell und Bobby McFerrin spielt Tom Swift seine Solo-Show schon seit 2006 in Clubs und Bars in der Schweiz. Bevor er als Keyboarder bei den Scrucialists in die Welt des Reggae eintauchte, funkte er bei The Fabulous Tools an der Seite von Joe Johnson (The Looters) mit. 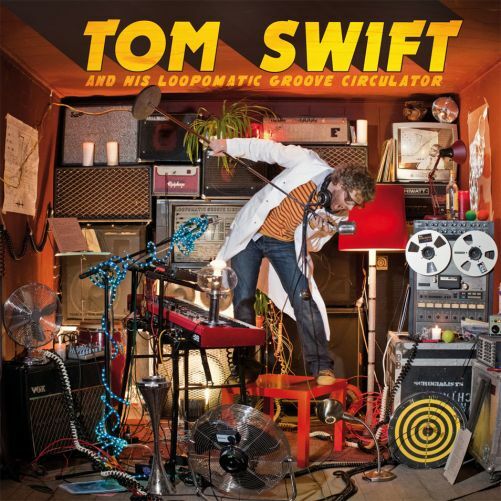 Sein erstes Album „Tom Swift and his Loopomatic Groove Circulator“ ist diesen Frühling erschienen und auf gute guten Anklang gestossen. 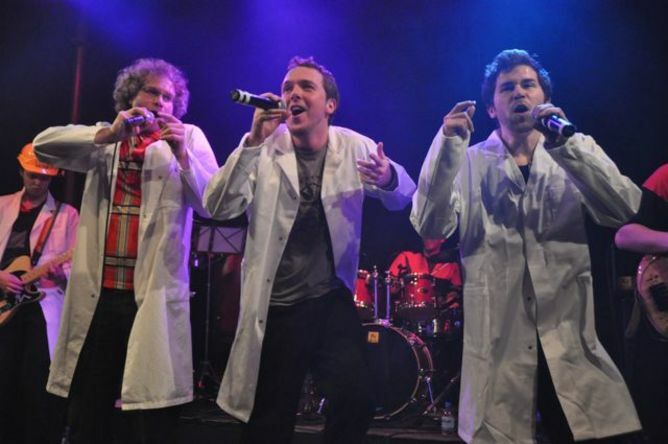 Über die Online Radioplattform „mx3“ fanden vor allem die Singles „Music’s got me“ sowie seine Coverversion von „Uptight“ Einzug bei Rete Tre, Reto Uno, Couleur 3, Radio 3fach, Radio Inside und Backstage Radio. 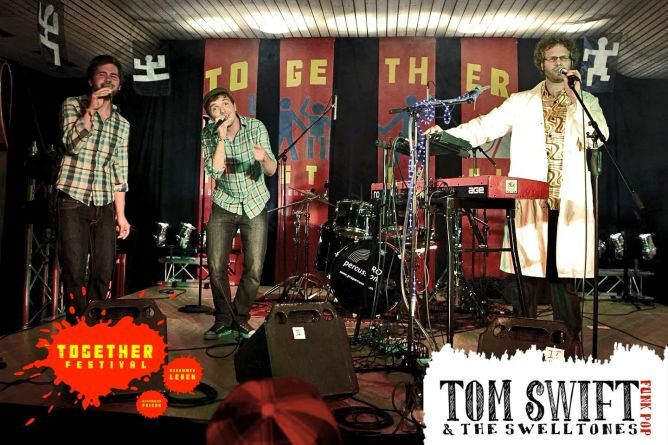 Seit dem Herbst 2010 ist er live zu sehen, zusammen mit dem dynamischen Vocalduo „The Swelltones“, den beiden Leadsängern der Basler Reggaeband Schwellheim. „Mit seinem Loopomatic Groove Circulator schafft Tom Swift den Spagat zwischen Funk und Reggae spielend und begeistert“ (20 Minuten).